It's the Thanksgiving holiday weekend here in Canada and since it happens to be one of our favourite holidays (turkey, cranberries, a little pumpkin pie, three whole days to eat and lay around 'digesting', you can't ask for better!) we are packing it up a little early this afternoon to get the festivities rolling. 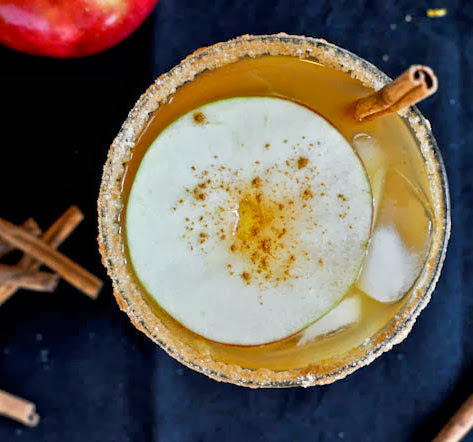 Margaritas aren't the usual October fare for us but since the weatherman is calling for blue skies and above seasonal temperatures, we thought this Apple Cider Margarita would be the perfect drink to mix the sunshine and Thanksgiving autumn vibe! Mix a few spoonfuls of coarse sugar and cinnamon in a small plate. Wet rim of glass and then press glass rim into the cinnamon/sugar mixture on the plate. Fill glass with ice, then add the Grand Marnier, tequila and apple cider. Stir to mix well and garnish with apple slices and cinnamon sticks. This cocktail looks delicious! I'll file this away for later (I can't drink now, being pregnant). 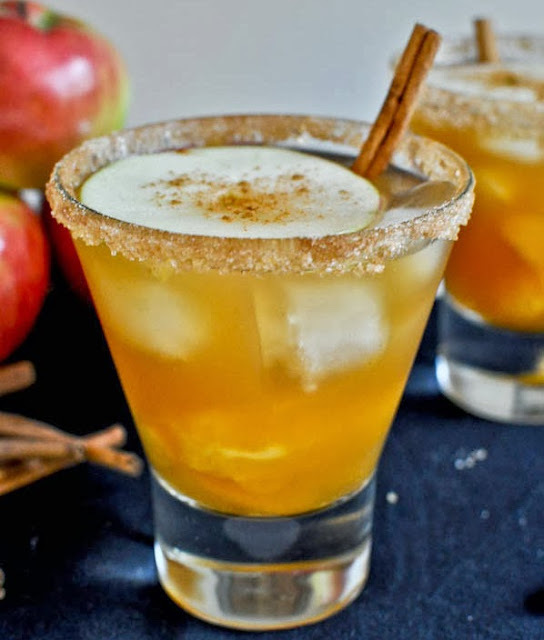 I knew I stopped by at the right time, your Apple Cider Margaritas look amazing. Cheers to us all!